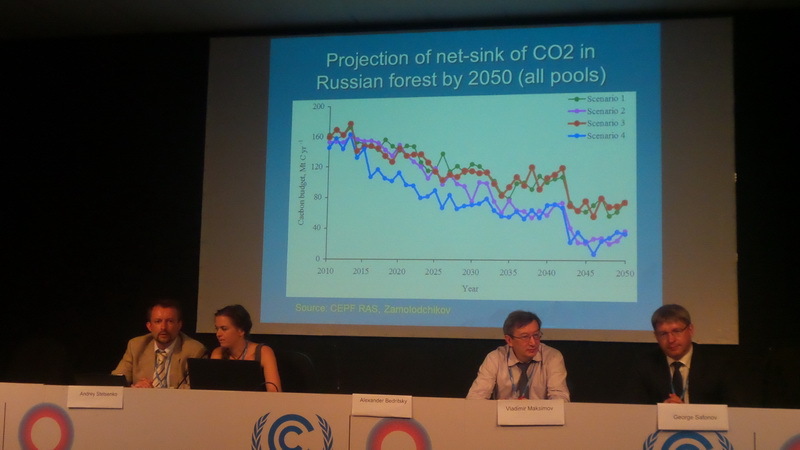 On the last day of Lima climate talks, Russia held an event titled ‘Goals and Objectives of the Russian Climate Policy up to 2020 and Prospects for 2030’. The same day Russia along with Ukraine and Belarus received the Fossil of the Day public anti-award for unconstructive behavior during the negotiations. On the last morning of the negotiations, the Russian delegation held their only side event where public observers, journalists, as well as representatives of other countries’ delegations were able to hear Russia’s position and ask their questions. 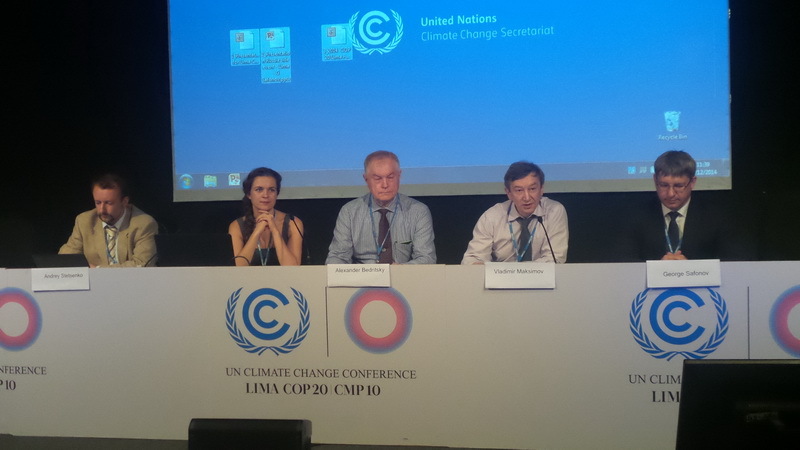 The side event was held under the title ‘Goals and Objectives of the Russian Climate Policy up to 2020 and Prospects for 2030’. 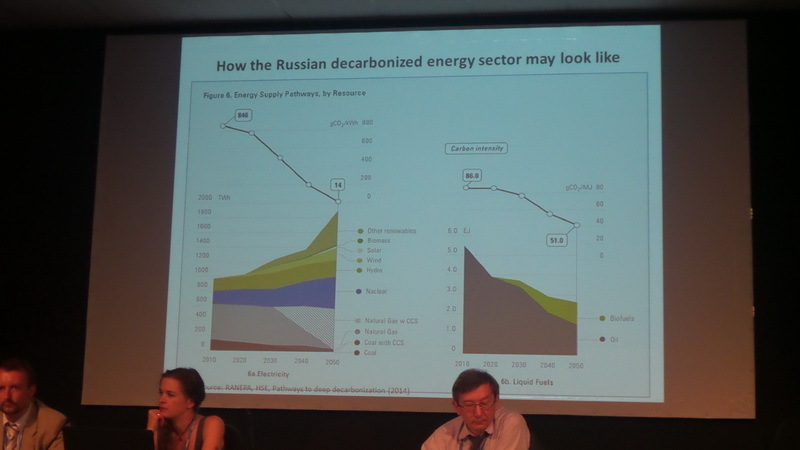 ‘The main implication is that the current economic scenario will cost us the same as the transition to the low-carbon model,’ surprisingly concludes Mr. Safonov. 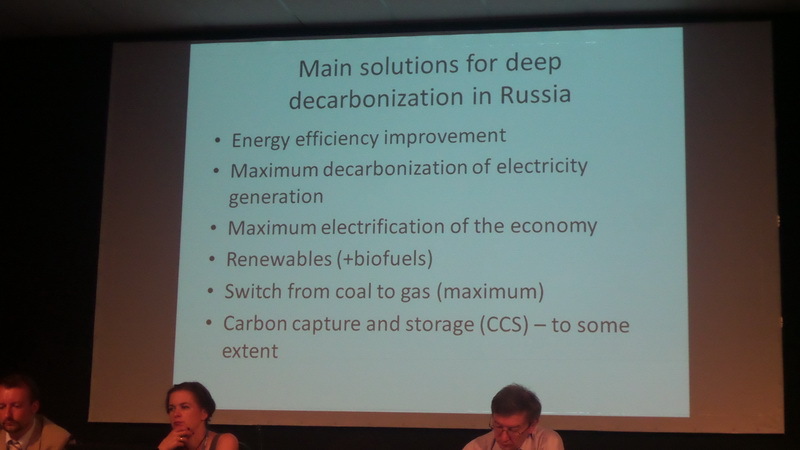 Andrey Stetsenko, Moscow State University and President of CEI (Center for Environmental Innovation, NGO), said, regarding carbon sequestration by Russian forests, ‘We are a country with a lot of forest. However, not only does forest absorb carbon dioxide, it also emits it. This happens as the result of forest fires, logging, etc. The absorption will decrease in intensity over time, and may even drop to zero and below. There are economic mechanisms that promote forest conservation. During the first commitment period of the Kyoto protocol, we had two afforestation projects. The first one was implemented in Voronezh in 2001. We planted forest belts on agricultural land. Our organization also carried out an afforestation project in Altai region, where 10,000 hectares of forest were planted. All the necessary procedures, including determination and verification, were carried out within Kyoto framework. The information was submitted onto the UN website, and the website of the State Forest Register of the Russian Federation. But this kind of projects are not viable without proper support. After Kyoto-1 ended, we were forced to ask for public support. In the end, people from twelve countries and three continents supported the project. After the award took place, Ukraine announced its intention to get back to the issue. In his Facebook (https://www.facebook.com/igor.shevchenko?fref=ts), the Ukrainian Minister of Environment Igor Shevchenko said that he ‘decided to adopt a progressive position of the European Union on this matter’.